Welcome to my online classroom for English II Pre-AP and English IV Advanced Placement and Dual Enrollment. Click here to go to my FULL CLASSROOM WEB SITE! Pre-AP, Advanced Placement, and Dual Enrollment English classes are hard, but so is college… and life! We embrace hard because we want to prepare ourselves for the challenges and opportunities that our future holds. If you ever feel life (or class!) is too hard, watch this video. Yes, he is riding his bike up the Rocky Mountains… with one leg! I passed him, but he passed lots of people on his way up the mountain! Reading is key to achievement in all classes and in life. The Lion’s Den Book Club is a fun opportunity to embrace good books in an environment where you won’t have tests or papers to write! 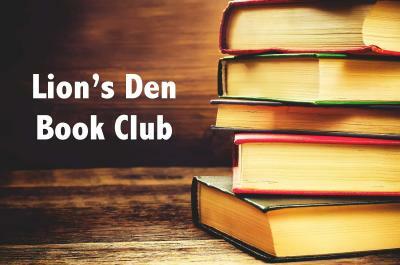 All students, as well as faculty, are invited to join the Lion’s Den Book Club. For information click here.